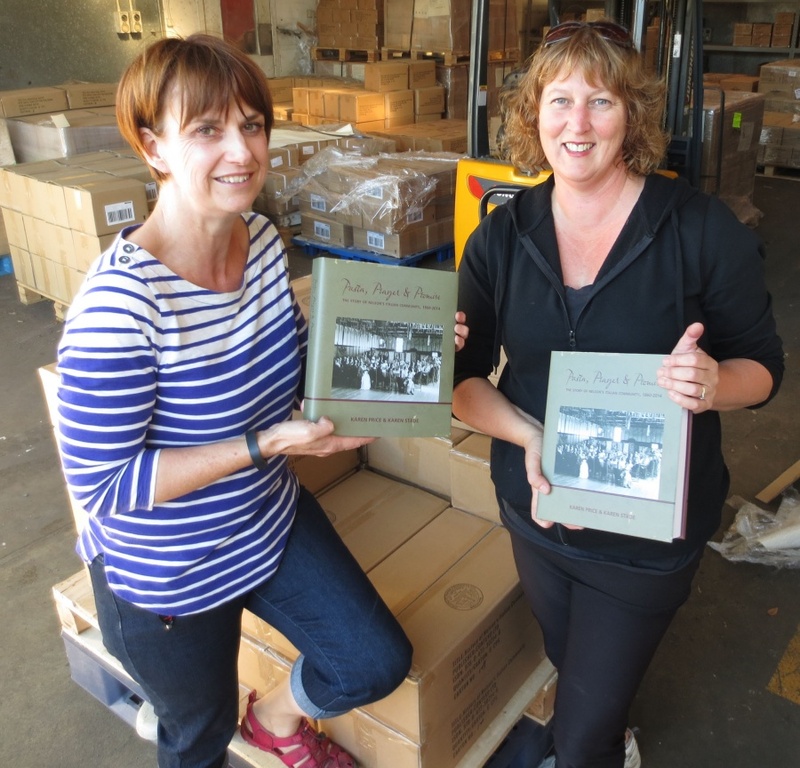 commented on "Exciting news today - our new book, Pasta, Prayer & Promise, the story of Nelson's Italian Community 1860-2014, has arrived from ..."
Exciting news today - our new book, Pasta, Prayer & Promise, the story of Nelson's Italian Community 1860-2014, has arrived from Hong Kong, been cleared by customs, and delivered to Nelson! After five years of research and writing, it is really exciting to finally see it. Here is my co-researcher and writer Karen Price with me this morning at Craig Potton Publishing (recently renamed Potton & Burton), which kindly let us use their warehouse for the delivery. Several car and ute-loads later we now have the books stored safely away in readiness for the launch in the first week of May. If any of you are interested in attending the launch in Nelson (2 May for the Italian community and 5 May for our non-Italian supporters) or Wellington (8 May - there are lots of links between the Nelson and Wellington Italian communities), or would like to make a pre-order, let me know. The book is 448 pages, printed with full colour, with a hard cover and dust jacket and can be yours for $55.